These $78 Leggings "Flatter Every Body Type"
There are so many leggings to choose from on the market that acquiring the right pair for your body and budget can be like finding a needle in a haystack. Not only that, hunting down the best leggings for your body is made even more difficult by the fact that many brands don't offer numeric sizing, which is more precise. Enter American Giant, one of our go-to brands for affordable, high-quality basics. The brand just released its first-ever leggings (The Pant), a non-athletic polished black pair that's meant to be worn as pants (treggings, if you will) and just might be a contender to replace your skinny jeans. Ringing in at $78 and available in numeric sizes from 0 to 14, The Pant is described by the brand as the “best-of-all-worlds stretch pant. 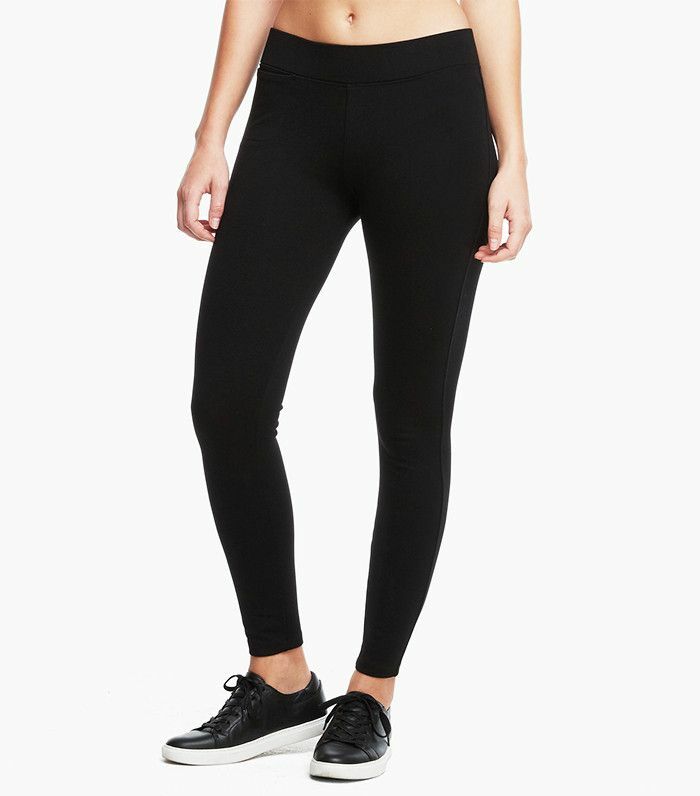 Something that combine[s] the comfortable feel and mobility of a compression exercise legging, with the polish, substance, and shape of a street pant. We spent the last year putting every element through rigorous testing to ensure it delivers." As reported by Leanluxe, American Giant CEO Bayard Winthrop wanted to design high-quality yet wallet-friendly leggings that were "covering" enough to be worn as pants. Winthrop said, "The ponte fabric we used is expensive and technical and really responds to the body’s form. The fit is comfortable and covering so that women feel like they don’t need to compensate with a longer top to feel secure." Given that the brand used a test group of approximately 65 women during the process of perfecting The Pant, we believe them. Keep scrolling to shop the new figure-flattering leggings that just might rival your skinny jeans. Would you wear these leggings to the office or on a date? Tell us in the comments!